Last week, during a performance of the new Broadway hit The Color Purple, capital-D Diva Aretha Franklin (and her purse) broke just about every rule you’re asked to follow in the announcements before a Broadway performance—and that’s probably because she showed up too late to hear them. According to a witness, Franklin showed up late to a performance at the Jacobs Theatre, took up six seats around her and began holding her phone in the air to snap photos of the show — and that was all before intermission! 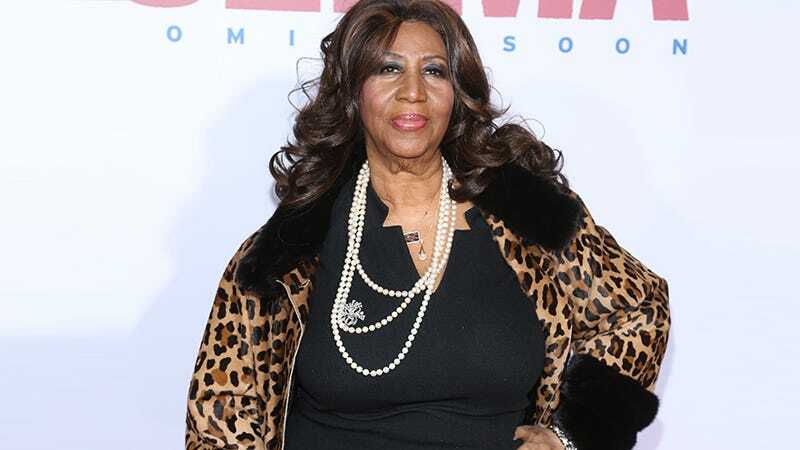 According to Brandon Voss, a writer who attended the same performance—you know, the one where Aretha ran into James Earl Jones—an “older” woman in the audience eventually began “gesturing wildly for her to put down the phone,” and told one of Franklin’s four bodyguards that “it wasn’t allowed.” When she realized the woman she was complaining about was Aretha Franklin, she apologized for making such a ridiculous request. There is no better confirmation of someone’s unimpeachable status as a living legend than a commoner’s apology for being annoyed. It’s like apologizing to Meryl Streep for being in her way after she knowingly cut in front of you in a bathroom line. Here’s some good Lamar Odom news: he’s walking without assistance! TMZ reports he made the “huge stride in his recovery this week” after “ditching” his walker and taking three steps. And that’s not all ... his brain function is slowly improving. He was able to recognize a hospital staff member, which is significant considering at one point he couldn’t even recognize family. While this is good news, I have a feeling Odom’s recovery is going much more slowly than the Kardashians are willing to admit.